A judge has sentenced a Rangoon resident to eight days in jail for public disorder after he entered a residential neighborhood and threatened to kill all Muslims in the vicinity. One former political prisoner describes a tiered system of abuse within Insein Prison, Burma’s most infamous correctional facility on the outskirts of Rangoon. One Kaman man said that more than 1,000 men holding swords surrounded his village in 2012. But he escaped the mob, hiding in a pigsty owned by Arakanese Buddhist friends. A Buddhist monk who is a regional spokesperson for Ma Ba Tha said the new NLD-led government should avoid a showdown with Burma’s nationalist movement. Ba Shein, a leading Arakan National Party MP, discusses his party’s dispute with the NLD and other issues affecting Arakan State. Burma’s warring rebel leaders have thrown their support behind the National League for Democracy’s pick for President, set to take over the country’s fractured peace process. While parliament’s vote for a civilian president is greeted with optimism, the appointment of a junta-era figure to first vice-president concerns many. Myanmar Human Rights Commission member Khine Khine Win discusses the body’s limitations and what she believes are its achievements. Community leaders in Mon State fear a spate of recent attacks are racially motivated and attempts to foment inter-communal tensions here in the run up to Burma’s 8 November polls. Can soldiers vote in Burma’s elections without fear? “We cannot have a preference for a particular party. Under the current circumstances, we will have to vote for the USDP only,” said an army official from Karen State. PNLO leader and former NLD member Khun Myint Htun explains why the Pa-Oh group acceded to the NCA, and how the political dialogue will affect the election. Recent events in the last five years will all impact the general election in November, as Burma goes to the polls amidst conflict and religious tension. According to a straw poll by Myanmar Now, voters in Rangoon cannot see beyond Suu Kyi’s party. 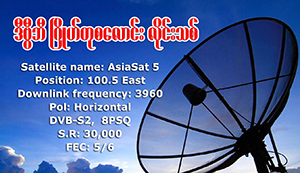 Practice your English with DVB news. This week: Women running in the election find they must fight not only rival parties but also sexism and prejudice. Australia’s former ambassador to Burma, Trevor Wilson, speaks about how far Burma has come since his tenure, and why he thinks Thein Sein is under-valued. Women candidates say they have to endure slurs and malicious rumours, while some also fear for their safety as they campaign in their constituencies.